Veijo Heiskanen specializes in international arbitration, including investment arbitration, and in public international law. He has acted as counsel and arbitrator in numerous international arbitration proceedings under the rules of the ICC, ICSID, WIPO, UNCITRAL, Swiss Chambers, SCC, Cairo Regional Center for International Commercial Arbitration – CRCICA, and various national chambers of commerce. 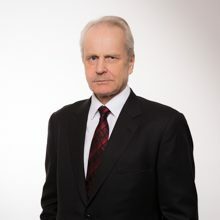 His experience as counsel includes representing governments and foreign investors in many state-investor disputes in the energy, infrastructure and mining sectors, as well as in gas pricing and construction arbitrations. He has also been acting for many years as arbitrator in both commercial and investment arbitrations, including as presiding arbitrator in several disputes arising out of complex commercial and real estate developments, energy, construction and infrastructure projects, as well as in several high-value gas pricing and intellectual property disputes. He is member of the SCC Board and of several panels of arbitrators, including ICSID, ICDR Energy Arbitrators List, Singapore International Arbitration Centre (SIAC) and Hong Kong International Arbitration Centre (HKIAC), and of numerous professional associations, including IBA, ILA, American Society of International Law, LCIA, IAI, ASA and Finnish Arbitration Association. Veijo Heiskanen graduated from the University of Helsinki (LL.B., 1983; LL.Lic., 1985) and holds an LL.M. and a Doctorate of Juridical Science (S.J.D.) from Harvard Law School (1988 and 1992). He is Adjunct Professor of International Arbitration at the University of Lausanne and taught at the Hague Academy of International Law (2002). Entretemps: Is There a Distinction Between Jurisdiction Ratione Temporis and Substantive Protection Ratione Temporis? Borderlines: Is There a Difference Between Protection of Property and Protection of Investment? Reparations for historical wrongs: From ad hoc mass claims programs to an international framework program? The sardines decision: Fish without chips? For further information, see the programme. For more information, see the programme and the site. Berlin 05/07/2017 Veijo Heiskanen Speaker: Is there a lex mercatoria emerging for long-term gas contracts? Athens 23/06/2016 Veijo Heiskanen Speaker: What is the appropriate legal framework for cross-border gas pipeline projects? For more information, see the programme. For further information see http://www.engi-conference.com. Tbilisi 10/10/2015 Veijo Heiskanen Speaker: Corruption in Arbitration - Must or May an Arbitrator Refer Suspicions of Corruption to Competent Authorities? Istanbul 04/06/2013 Veijo Heiskanen Speaker: What kind of disputes are likely to emanate from Turkey in the coming years? For more information, please see conference report here. Kiev Arbitration Days 2012: Think Big ! For more information, please see the programme. Washington, DC 02/11/2012 Veijo Heiskanen Speaker: Mass Arbitrations: Is There a Need for Specialized Rules? For more information see the WTI website. For more information see the UIA website. Paris 14/10/2010 Veijo Heiskanen Speaker: Is there a distinction between jurisdiction ratione temporis and substantive protection ratione temporis? For further information see the congress programme. Symposium on Investor-State Arbitration: Perspectives on Legitimacy and Practice. The papers of the symposium will be published in a special issue of the Suffolk Transnational Law Review. For further information see the organizer’s website. For further information see the BIICL website. For more information see the organizer’s website.